Here at Corellian Run Radio we are celebrating Star Wars Day all weekend long. 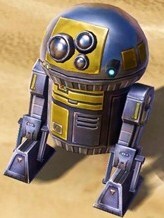 As part of the celebration we are giving away 10 Star Wars: The Old Republic pet codes. These codes were given to CRR by Community Team manager Eric Musco. Below is an embedded widget by Rafflecopter.com. In order to enter the contest, just click on the email or Facebook login options. You can enter the contest by following the directions given when you click on the Rafflecopter.com widget below. Contest runs May 1st 8:30pm EST through May 5th 3am EST. Good luck and May the Fourth be with you! Happy Star Wars Day from Corellian Run Radio.